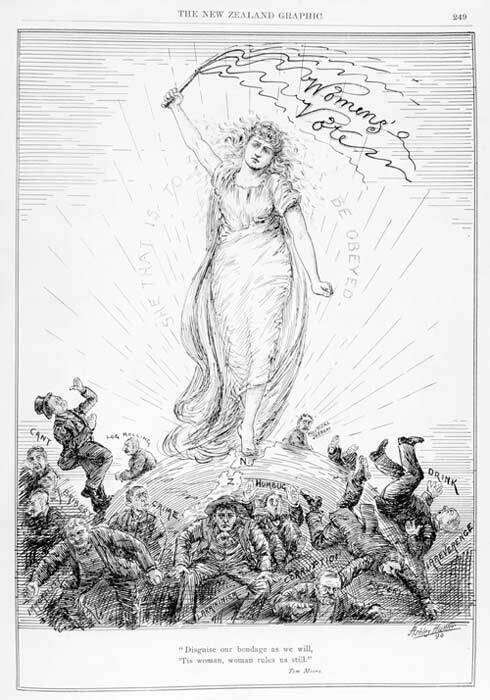 This cartoon from the Graphic of 30 September 1893 anticipates the effect of the women's vote on New Zealand politics and society. Women obtained the vote in 1893, which some people believed would lead to a stronger moral influence in public affairs. The 1890s and 1900s were a time of social change and strong political personalities, providing rich material for cartoonists.